Whether you’re ready or not, summer is right around the corner, so today I’m sharing the top places I find the best one-piece swimsuits. As I’ve pointed out before, a great one-piece is not only super-flattering but can also double as a styling piece, especially when you’re in a warm climate. Right now, I have three go-to brands for quality one-piece suits. Solid & Striped is my favourite for the season’s freshest styles and trend-driven designs. Same Swim is where I find the best statement suits that are perfect for a special occasion. And last but not least, I always recommend Flagpole for styles you can wear season after season. 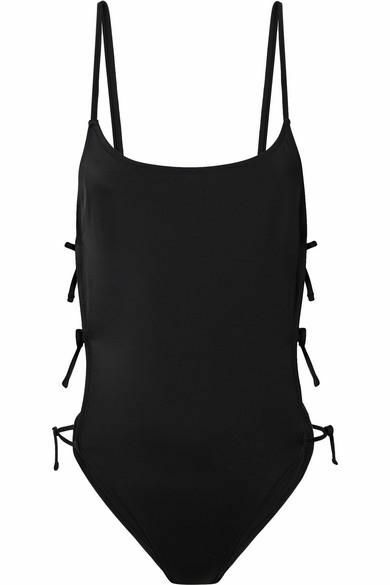 Update your one-piece collection with my picks below.